Located on the western edge of downtown, The Shops at Roosevelt and the Roosevelt Cultural District brings local charm into the “big” city. Once you’ve made your way off of 235 to 42nd Street, please, don’t let the strip mall façade fool you! 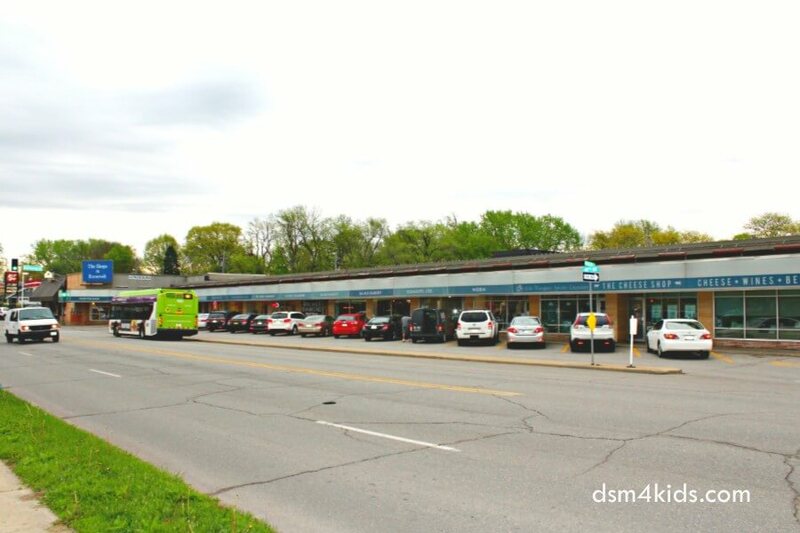 This vibrant and active neighborhood, including the Shops on Chamberlain, is well known for its restaurants, entertainment and unique shopping options in Des Moines that make it a great family day trip. 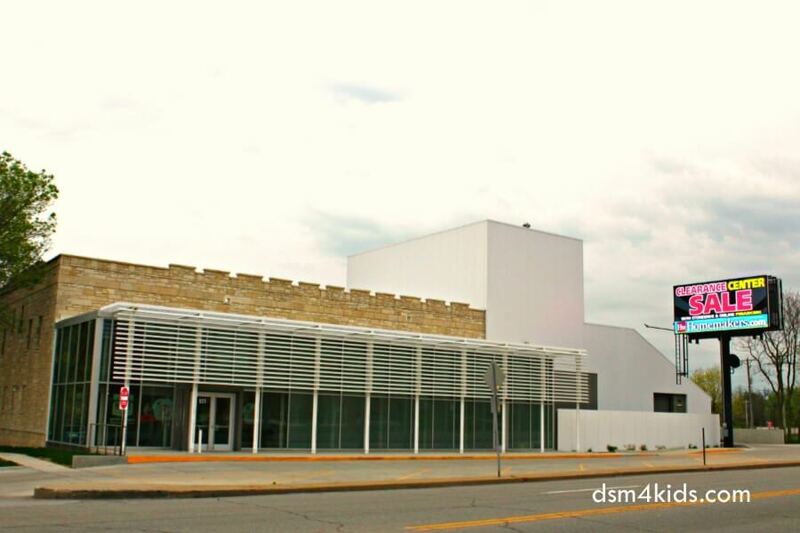 Des Moines Art Center – The Art Center is a museum and school, with a world class art collection housed in extraordinary architecture by three renowned architects. Several classes are offered to kids and families. Admission is FREE and the Art Center is open every day of the week except on Mondays. Des Moines Playhouse – The Playhouse is one of the oldest and largest community theaters in the United States. The Theater presents musicals, classic plays and a children’s theater series. In addition, the Playhouse offers several theater and drama based classes to school aged kids throughout the year. Drake University – A midsized, private university Drake is located in the heart of Des Moines. In addition to its academic offerings, Drake enriches the City of Des Moines through its own cultural offerings and events, such as, The Drake Relays. Greenwood Park/Ashworth Park – East on 45th Street and south of Grand will take you to two of Des Moines’ best parks. The Bill Riley Recreational Trail and Ashworth Pool are located in Ashworth Park and Greenwood Park offers the Sylvan Theater and Clare and Miles Mills Rose Garden as amenities. Waveland Golf Course – Waveland Golf Course is the oldest municipal golf course west of the Mississippi. This 18-hole course was built in 1901 and has a traditional layout. Waveland is located at 4908 University Avenue and is managed by Des Moines Park and Recreation. If you are a foodie family you won’t be disappointed! 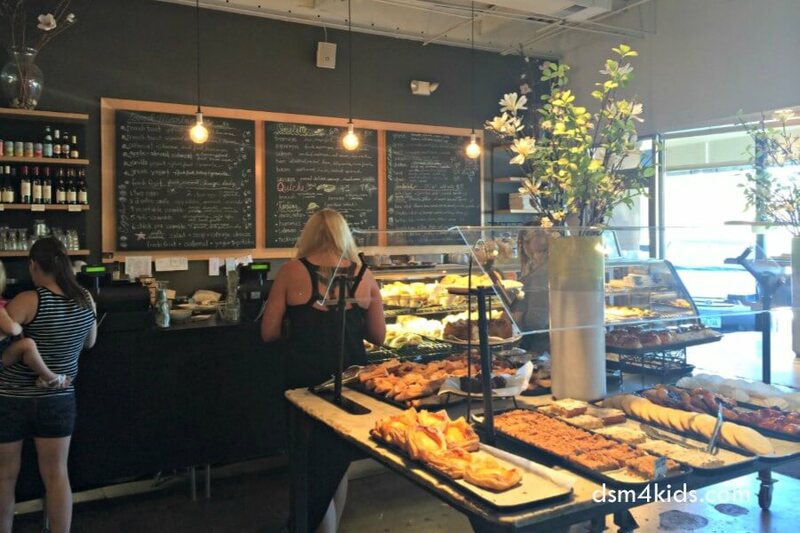 Enjoy breakfast at La Mie Bakery, lunch at The Cheese Shop and stop by Vom Fass to stock up on dinner ingredients. Swell, a trendy shop for babies, and Worn, a modern resale boutique, will keep everyone in the fam fashionably clothed. If you’re looking for a little cultural enrichment, rock out at Central Iowa Music Lab, paint and sip vino (or grape juice) at Pinot’s Pallette and get zen at Shakti Yoga Shop. The Juice Company is a great place to take a shopping break and enjoy an all-natural fruit smoothie. Located near the The Shops at Roosevelt the Butler House on Grand makes a nice hub for for a little family getaway or staycation. What are your tips for a day trip to The Shops at Roosevelt?